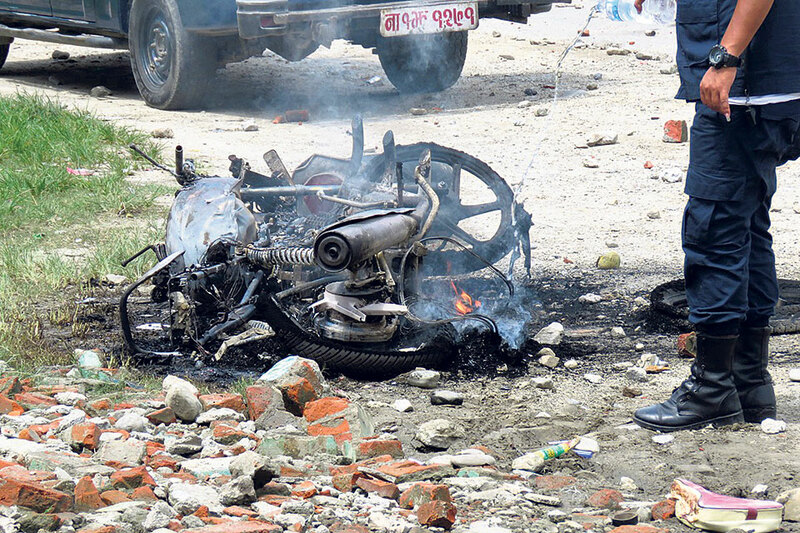 CHITWAN, July 26: Several protesters and fourteen police officials were injured after police fired bullets and tear gas during a protest by transport operators in Chitwan on Wednesday. 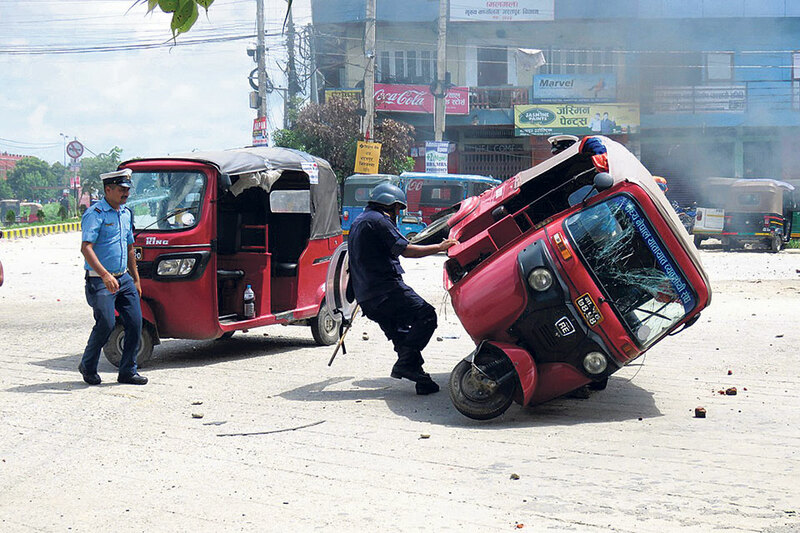 According to the Chitwan District Police Office, two protesters and 14 policemen including two inspectors were injured in a clash with agitating transport operators. A three-wheeler driver Mahendra Sunwar has sustained a gunshot injury in his leg. Transport operators, however, claimed that ten drivers have sustained injuries during the clash. Owners of three-wheeler vehicles on Wednesday blocked the highway in front of the District Administration Office to protest against the recent local government's decision to ban three-wheeler vehicles on the highway. After protesters resorted to violence, police fired nine rounds of bullet and sixty rounds of tear gas to disperse them. 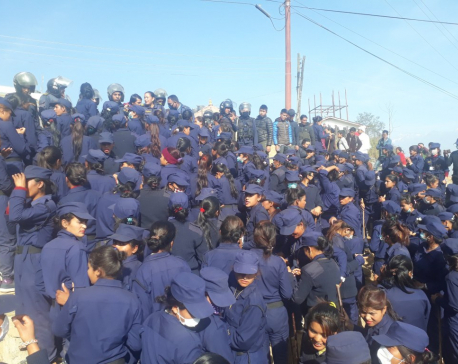 “After our repeated request to clear the highway was met with violent confrontation we were forced to fire bullets and tear gas to disperse the crowd,” said Spokesperson of the District Police Office DSP Prabhu Prasad Dhakal. All the injured are undergoing medical treatment at a local hospital. 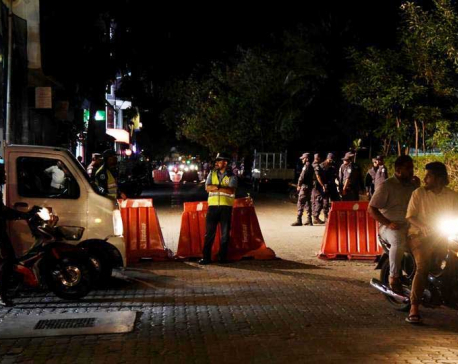 After transport operators set fire to a motorcycle, vandalized a car and hurled stones at a nearby police station along the highway, police fired bullets and tear gas to disperse them. Prior to the clash, police had requested them not to block the highway and move their demonstration to an open space nearby. After half an hour of clash, the highway was cleared by police and vehicular movement, which had halted for more than two and a half hours due to demonstrations, resumed. Last month, Bharatpur Metropolitan City Office had decided to ban three-wheeler vehicles along the highway. Transport operators took to protests demanding that the metropolis withdraw its decision. They have said that the move will deprive them of their livelihood.